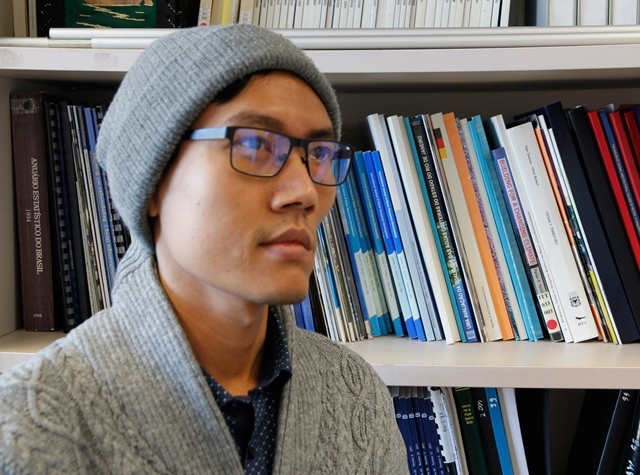 We are happy to announce that ITT Alumni and CNRD stipendiary Bhone Nay Htoon, Dr.rer.nat., received his PhD degree. He concluded his doctoral research in 2015 and graduated the Dr.rer.nat. degree in January 2016. With the help of the CNRD scholarship program and the international master education in the program TERMA VN (Technology and Resources Management in the Tropics and Subtropics – Focus Vietnam), he got an excellent framework to study water resources management through a holistic approach considering both technical and socioeconomic problems of resources use with a focus on Vietnam. 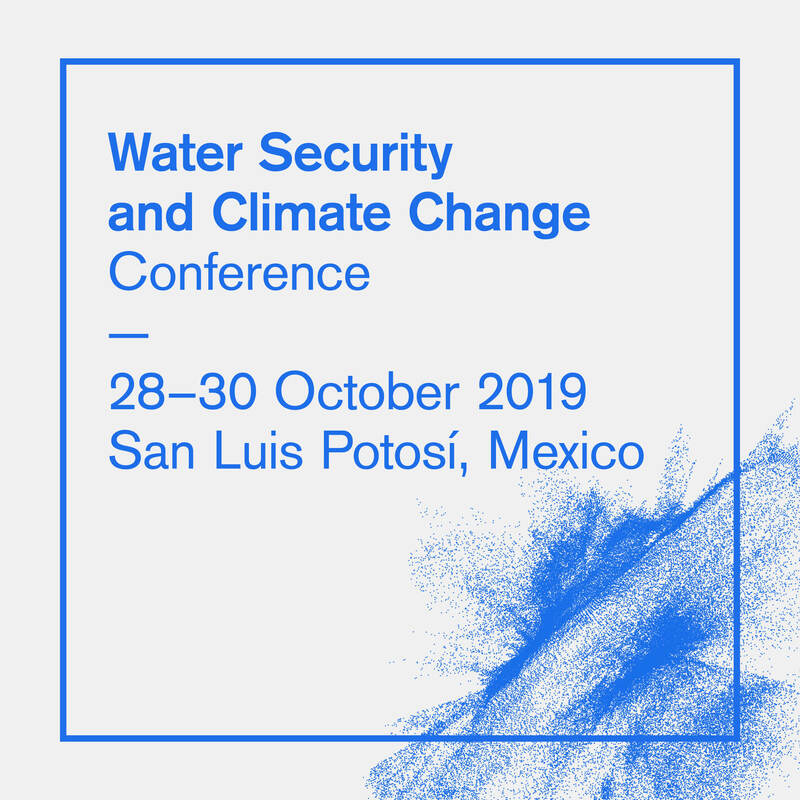 With his PhD, he joins the league of experts who are needed to deal with multiple problems of water resources management and who have knowledge of the practices of project funding and international cooperation. To give an insight in his academic career, we got the chance to ask him some questions on his personal and professional development. Three years after my B.Agr.Sc graduation in 2010, I had the chance to join the International M.Sc. program TERMA VN at ITT, TH Köln, Germany, and Vietnam Academy for Water Resources. Water Resources has always been my area of interest and I was lucky to get financial support through a DAAD and CNRD scholarship. During my studies, I also did research focusing on irrigation water productivity in central Vietnam in the German Government funded international research project “Land Use and Climate Change Interaction” (LUCCi) at ITT. My M.Sc. thesis focused on economically and agronomically higher water use efficient rice production in Vietnam. How did you benefit from your time and your degree at ITT? ITT provided me with the chance to participate in cultural exchanges. I could stay one year in Vietnam and one year in Germany. Also, I got the chance to work for the LUCCi project, therefore, I’ve learned a lot on international project collaborations and international cultural exchanges. In terms of technical and theoretical knowledge, I got a very good understanding on how to approach a problem from a systematical point of view. How did you proceed after your degree at ITT? Soon after my M.Sc. at ITT, I was employed as a PhD. Student at University of Bayreuth, working for the DFG funded TERRECO project. I worked as scientific assistant for the Department of Agroecosystem Research, BayCEER, Uni Bayreuth, and Research assistant of Department of Plant Ecology, University of Bayreuth. My PhD thesis is the follow up of my M.Sc. work of ITT, TH Köln. During my M.Sc., I worked on water use efficiency of rice from Agricultural economic and Agronomic perspectives. For my PhD, I worked on water use efficiency of rice from agronomic as well as ecosystem perspectives, by balancing crop yield, crop water use, carbon dioxide and the water cycle of agroecosystems. The main finding of the PhD study is that water saving rice production methods can save water but release significantly large amount of CO2 through soil and plan respiration process. On the other hand, conventional flooded paddy rice consumes a lot of water and emits CH4 gases, but very few CO2 was released through respiration processes. Therefore, to maintain higher agronomic water use efficiency (i.e., grian yield/water use) of rice with less negative ecosystem impacts (i.e., balanced green house gas emission, ecosystem carbon and water cycle), we need a detailed regional analysis of Greenhouse gas emission, trade-offs, water and carbon cycle trade-offs of different water saving rice production methods and conventional paddy rice production methods. 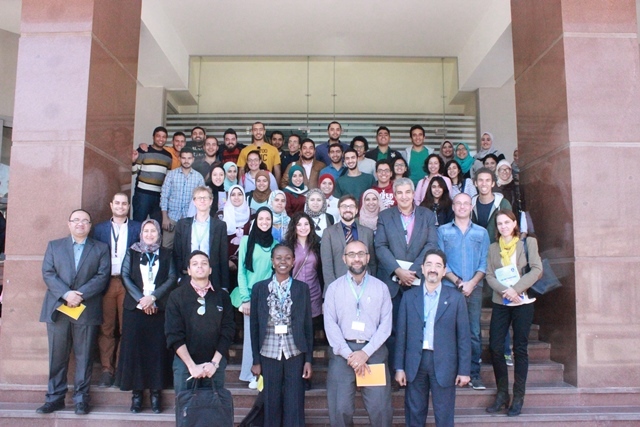 The 3rd workshop on the Curriculum Development of the Interdisciplinary Master Program “Resource Efficient Cities” (IMaREC) was hosted by ASU in Cairo, Egypt during the period 29th Feb – 3rd March 2016. Three partner universities of the CNRD network have participated in the workshop: TH Köln, Germany; KU, Kenya; and UASLP, Mexico. The opening public seminar introduced IMaREC – as a part of CNRD activities – to more than 80 students (undergraduate and postgraduate), staff members and a representative of the DAAD Cairo office. Three initial presentations by professors from TH Köln, KU, and UASLP invited discussion on sustainable urban development, urban system metabolism, and the resource efficient city. The workshop took place in a very constructive and friendly atmosphere and concluded by an excursion to SEKEM organization for organic industries as a role model for sustainable development. With inputs on system theory, creative thinking methods and didactics, the group produced a full curricular structure and the requirements of the M.Sc. 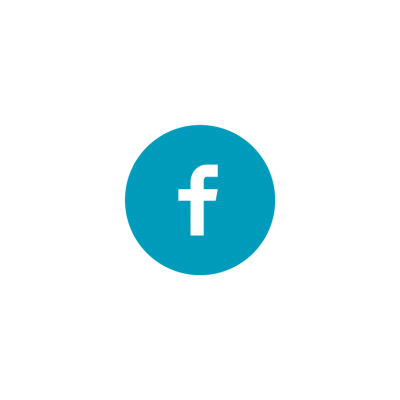 program in terms of study tracks, levels, modules, credits, and awards. The drafted setup is built from core modules, three major track lines, a set of tools and methods modules, aligned with an interdisciplinary project module. The full program description with all technical terms and the detailed module handbook are currently under development to apply for approval with the authorities before end of March 2016 and subsequent accreditation, with the target to launch the full program this fall at ASU in Cairo, and to later roll it out to the CNRD partners. We are happy to announce that CNRD stipendiary Dr. Arun Kumar Pratihast received his PhD degree on the 12th of October, 2015, in line with his public defense at Wageningen University, Netherlands. 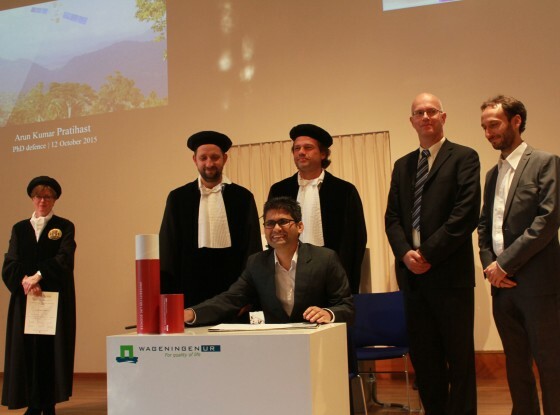 Next to the supervisor Prof. Dr. M. Herold (Wageningen University), Prof. Dr. Lars Ribbe, ITT Executive Director and CNRD coordinator, co-supervised his thesis “Interactive community-based tropical forest monitoring using emerging technologies”. Dr. Pratihast made a highly important contribution to the investigation of community-based data and forest degradation monitoring. The main goal of the thesis was to develop an approach that combines emerging technologies and community-based observations for tropical forest monitoring. The overall conclusion is that emerging technologies, such as smartphones, Web-GIS and social media, incorporated with user friendly interface improve the interactive participation of local communities in forest monitoring and decrease errors in data collection. The results show that community-based monitoring can provide data on forest carbon stocks, forest area changes as well as data that help to understand local drivers of emissions. The thesis also shows, in theory and in practice, how local data can be used to link with medium and high resolution remote sensing satellite images for an operational near real-time forest monitoring system at a local scale. Dr. Aruns results have been of major use for the LUCCi project. One of his case studies was located in Vietnam, the other one in Ethiopia. With the offer of funding highly qualified doctoral students, CNRD plays a central role in supporting future experts in the field of Natural Resources Management (click here for more Information). One of CNRDs scholarship holders, Nivin Al-Alami, successfully defended her PhD thesis at University of Jordan on August 9th, 2015. Under the supervision of Prof. Hala Al Khyami (University of Jordan) and the co-supervison of Prof. Lars Ribbe (ITT) and Dr. Hamzah Al-Qadiri (University of Jordan), she finalized her PhD thesis entitled “Zai Water Treatment Plant: Microbial Risk Assessment and Management from Source to Water Effluent, Jordan”. Amongst the audience, the Minister of Water and Irrigation of Jordan, Dr. Hazem El Nasser, attended her PhD defense. Dr. Al-Alamis research work was conducted to investigate the efficiency of Zai Water Treatment Plant in controlling microbial waterborne contaminants. The scheme was achieved through the application of microbial risk assessment and management and via spot analysis of different water sources at King Abdullah Canal and treatment points at Zai Water Treatment Plant to overview the entire water system from catchments to water effluent. In conclusion, Zai Water Treatment Plant complies with the recommended operating standards in water treatment through reduction of turbidity and organic loads; this indicates a reduction in microbial content during the final stages of water treatment. The results indicated that the examination of conventional microbial indicators alone may not provide a comprehensive approach to assess water safety. Therefore, an applicable water safety plan at Zai Water Treatment Plant is necessary to manage microbial risk from catchment to water effluent. Additionally, an effective policy must be achieved to protect water sources through the developing and implementing a catchment management plan, which includes control measures and barriers to protect surface water sources at King Abdullah Canal. Many institutions might benefit from Dr. Al-Alamis results, amongst them the Ministry of Water and Irrigation, Miyahuna (Jordan Water Company), the Water Authority of Jordan and and the Water, Energy and Environment Center at the University of Jordan. In the future, D. Al-Alami intends to establish a research center to conduct laboratory and molecular studies linked to water and environmental microbiological research, graduate studies and consultation under the umbrella of the University of Jordan.